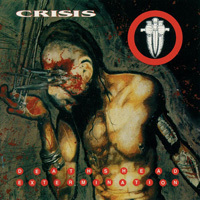 Quickly hammering out a name for itself with the album 8 Convulsions on Too Damn Hype Records, the band Crisis made the jump from the independent scene to pioneering label Metal Blade Records. Without sacrificing one iota of their integrity, 1996 held the release of the album Deathshead Extermination, which was quickly followed by 1997′s The Hollowing, and carved out a niche for Crisis in a scene bereft of much originality. 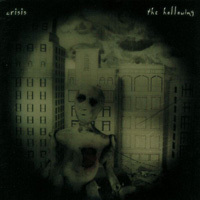 With music that drew from such diverse influences as Black Sabbath, Cocteau Twins, and The Swans, but keeping metal at their core, Crisis were one of the few bands both fans and critics could call true innovators. 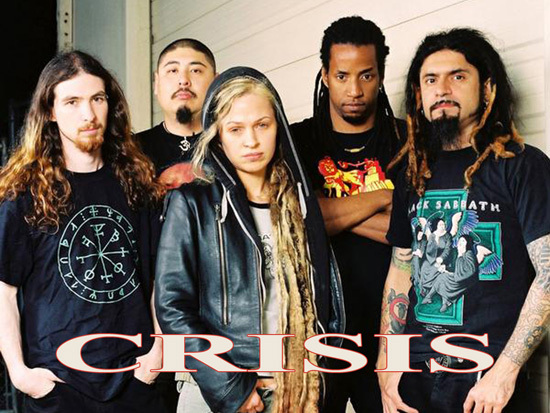 Refusing to bend to trends or to sell out for the easy money, Crisis established themselves as a band that would be taken on it’s own terms or none at all.